Will Blizzard’s next release be Diablo 3 for Nintendo Switch? Diablo fans were excited earlier this week when a job listing over at Blizzard’s website revealed that the US developer was hiring new recruits for an “announced Diablo project”. This led to speculation running wild all over the Internet, with pundits and fans alike trying to figure out what Blizzard could have in store for video game fans worldwide. Of course, many were hoping this would be a follow-up to 2012’s Diablo III, a game that ended up becoming a top-seller despite the plethora of issues it suffered at launch (actually Blizzard’s game had one of the worst launches ever for a modern video game). 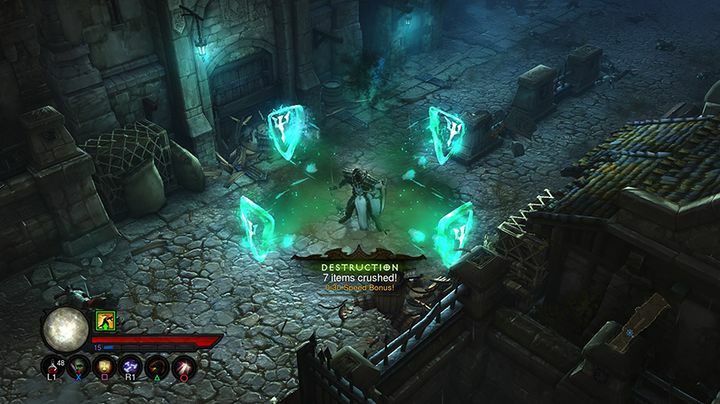 And Diablo 4 may very well be on the cards, as Blizzard’s job listing says they are looking for a developer capable of building “atmospheric dungeons with a focus on composition, detail and mood”, while ensuring “all environments are meeting the high-quality bar Blizzard is known for”. Many would welcome a Diablo 4 of course, given how much fun its predecessor was, one of the best examples of a loot-focused, dungeon crawling game ever. Diablo III also featured Blizzard’s trademark cinematic cutscenes, which sure were spectacular. Blizzard is yet to announce anything, and this could very well just be another expansion for Diablo III, or perhaps a remaster of one of their earlier Diablo games, something which, for better or worse, has become very common in this day and age. I have a feeling though, that Blizzard might be moving forward with the rumoured Nintendo Switch version of Diablo III, something which makes sense taking into account the Switch’s rising popularity, and the fact that converting their 2012 hit to the Switch shouldn’t take up too much development time. Actually, Blizzard is still supporting the likes of Overwatch, Hearthstone, Heroes of the Storm and even World of Warcraft, meaning it might not want to bog itself down with a major game project like Diablo 4 at this time. Also, the US company’s job listing does mention the fact that they are looking to “optimize levels and assets for performance and memory”. This particularly makes sense if they are planning a Nintendo Switch version of Diablo III, taking into account the Switch’s limited hardware resources compared to other consoles. This remains a matter of wait and see though, as Blizzard is yet to make any formal announcements and might still not do so for some time, as it appears that whatever game project they are embarking on is only getting underway. But whether this turns out to be Diablo III for the Switch, Diablo 4, a remaster, or something else entirely, here’s hoping it lives up to Diablo’s stellar legacy and turns out to be a game many will be enjoying when it hits shelves sometime in the future.